On World Water Day, Living Rivers Europe – a coalition of five environmental and angling organisations – is calling for Slovenia to abandon plans to erect eight hydropower dams across the Mura River, which would transform this healthy free-flowing river into eight lifeless reservoirs. Living Rivers Europe is the European Anglers Alliance, the European Environmental Bureau, the European Rivers Network, Wetlands International and WWF, who together represent a movement of over 40 million people across Europe. The planned dams violate both Slovenian and EU water and nature conservation laws and will wreck the Mura River, blocking fish migration routes and the flow of sediment – threatening fish populations as well as wildlife that depend on the river. The river also provides invaluable services to local communities. Not only is it the most important source of drinking water, it also provides natural flood protection and is a valuable recreational area. 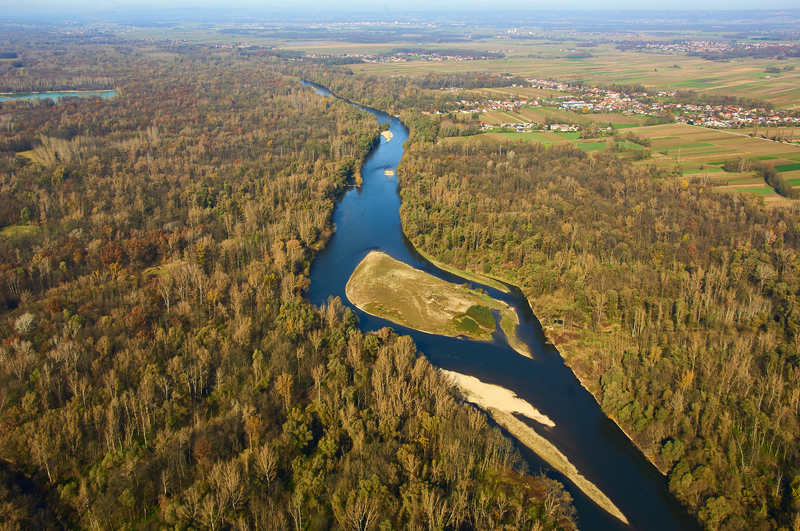 “In addition to the environmental and economic consequences, moving forward with these planned dams goes against the Slovenian government’s commitment to ensure international protection of the future Transboundary UNESCO Biosphere Reserve, which will combine the cluster of thirteen protected areas along the Mura-Drava-Danube region”, said Cy Griffin, European Programme Manager at Wetlands International. In a campaign driven by WWF together with other environmental NGOs, 77,310 people signed a petition calling for the damming of the Mura River to be halted. The signatures will be handed to the Slovenian government today - if these harmful plans are not scrapped, a formal complaint will then be issued to the European Commission outlining how they violate both the Water Framework Directive and Natura 2000. The case of the Mura River is not an isolated one. All across Europe, rivers and other freshwater ecosystems are being destroyed at an alarming rate. Out of all the ecosystem types, freshwater ecosystems are continuing to experience the most significant deterioration, as both European Environment Agency  and WWF’s own research show. Indeed, according to WWF’s Living Planet Report, the abundance of freshwater species worldwide has shrunk by 81% since the 1970s . Agricultural pollution, over-abstraction of water, the construction of hydropower dams, flood defences and navigation all alter the natural state of rivers through physical modification, such as water pumping, channelizing, dredging, and gravel and sand extraction, with disastrous consequences for the environment.